THE week five Men’s SBL Player of the Week has been awarded to Daniel Alexander of the Lakeside Lightning. On Friday night the SBL featured a stand-alone match up with the Lakeside Lightning hosting the East Perth Eagles at Lakeside Recreation Centre. The game was an exciting spectacle with the home side leading by eleven at the major break before the Eagles fought back in the third to narrow the gap to just two points. In an exciting final quarter it was import Daniel Alexander who proved the difference between the two teams after his 36 point game to go with 17 rebounds and 2 assists in a big night leading the Lightning to a nine point victory. 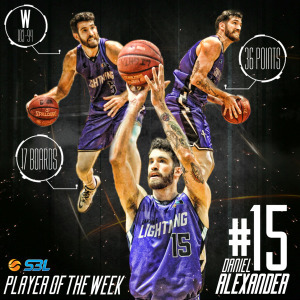 Alexander has been in great touch for the Lightning with a solid start to the year averaging 27.5 points and 11.3 rebounds per game. Lakeside now sit in equal eighth spot in the standings alongside Perry Lakes and South West who also hold records of 3 wins and 3 losses. 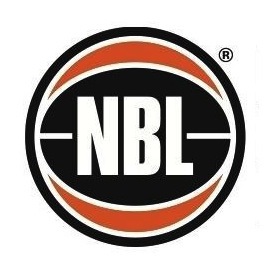 Najee Lane (Cockburn), Jourdan DeMuynck (Perth), Maurice Barrow (Geraldton), Cody Ellis (Stirling), Jerome Reid (Goldfields), Jacob Holmen (Goldfields), Kyle Lindbergh (Stirling), Rhys Vague (East Perth), Jacob Marsili (Kalamunda), Jay Bowie (Willetton), Cooper Land (Rockingham) & Matthew Adekponya (Geraldton).